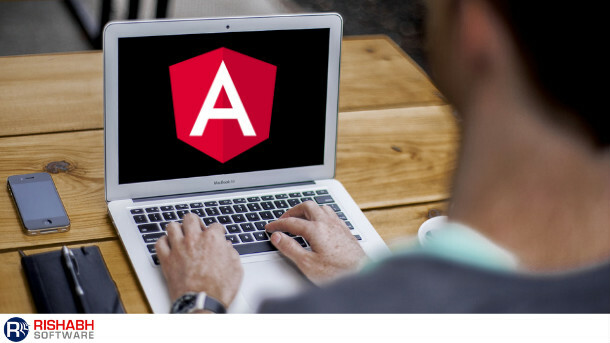 Angular is the evolution of AngularJS, an open-source platform for front-end development. It helps create dynamic single page applications (SPAs). Also, it is based on features, like two-way binding, modularization, templating, mobile support, dependency injection, material design, and reactive programming. While many developers are considering the transition to the modern-day web development standards with Angular, they find it challenging to choose the right upgrade path, with pointers around why to migrate and how to migrate. Our article aims to highlight the difference between AngularJS and Angular. It will help understand why migrating from AngularJS to Angular is necessary for creating better user interfaces. According to the 2018 StackOverflow survey, 36.9% of developers use different versions of Angular for web and mobile front-end development. Therefore, it is also important to note that AngularJS applications, which work now, will continue to work in the same way across all the published version of Angular, using npm, CDNs, bower and more. The latest versions of Angular help fix the challenges with Angular JS architecture, such as the concept of “scope” and the management of controllers. Further, the integration of RxJS facilitates reactive programming too. 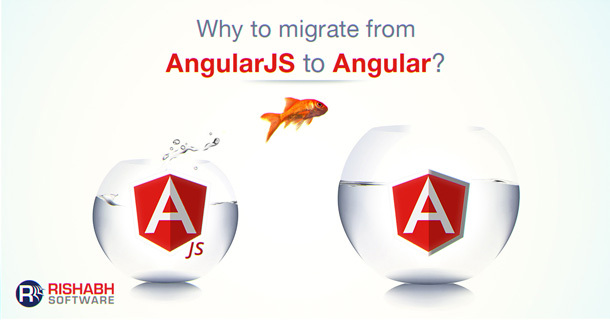 Thus, AngularJS to Angular migration is an elaborate process. Therefore, with a host of features that each new version of Angular offers, migrating from AngularJS to Angular is the right move. However, before taking-on your migration journey it is also vital to learn the benefits of Angular framework to develop modern applications. AngularJS has notions of scope and controllers, which are relatively rigid and less reusable. Angular uses an architecture based on a hierarchy of components and services. It allows reuse of the elements while improving their testability and maintainability. AngularJS is flexible but less stable and manageable. Angular imposes a structured, component-based approach. It is with a precise way of exchanging data between components. Thus, creating and maintaining larger applications is seamless with the most recent Angular version. AngularJS was not created to support mobile apps. However, Angular 2 and the following versions could offer support across devices. Angular 5 and the subsequent versions allow the management of Service Workers (a key component of Progressive Web Apps). It is possible to use Ionic or similar frameworks for mobile support, but it could affect user experience. 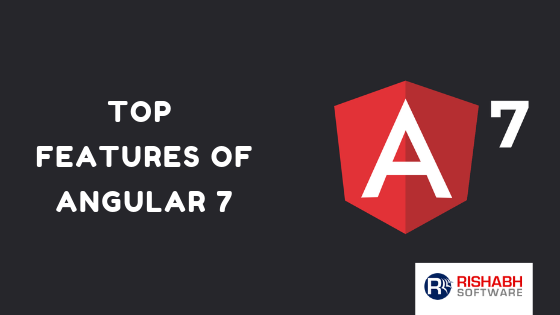 The modular design of the Angular 7 Framework significantly reduces its memory footprint on mobile devices. Angular 5 introduced the component development kit (CDK). It is the core of Angular Material component library, and, allows development teams to create their elements. Angular 7 integrates naturally with the elements of Material Design, which enables the creation of responsive and multiplatform applications. An improved user interface with the help of material design is one of the reasons why businesses must migrate AngularJS to Angular to meet new age demands. AngularJS is an efficient framework. However, the code tends to be sluggish in case of large applications due to a higher number of scopes and bindings. With Angular 6, a new rendering engine Ivy was introduced. It is with faster compilation, reduced bundle size, better debugging, and more flexibility. All of this while still being backward compatible. AngularJS’s two-way data binding concept results in delays and bottlenecks for development projects. With Angular 2 and beyond, witnessed the introduction of property binding, event binding, and template binding along with template interpolation. It improves the overall app performance and operating speed with data exchange. AngularJS relies on third-party tools like IDE or Webstorm. However, Angular benefits from the Command line interface (CLI) which reduces the time spent on creating the application. It helps develop projects where development teams can include Angular entities such as files, or more specific to Angular objects like components, modules, services, and directives. Angular aims to provide developers with maximum stability for critical applications. Therefore, the Angular team decided to use a time-based publishing cycle with semantic versioning. A time-based publishing cycle means that we can expect new versions of Angular every six months. To conclude, AngularJS to Angular 7 migration offers substantial benefits for businesses. From improving user experience, building progressive web apps (PWA), to reusability of code, the latest versions of Angular are the right choice for businesses. Collaborate with Rishabh Software as your partner for Angular app development services. Our specialist team can help you develop, upgrade, or migrate your Angular applications.